Opower is a software company that transforms the way utilities relate to their customers: by using data management, insightful analytics and behavioral science, Opower frames home energy data in the most persuasive way possible to encourage people to use less energy. Started in San Francisco, US in 2007, Opower discovered early on that the best way to motivate consumers to save energy is not financial savings or doing good for the environment, but neighborly competitiveness. With the question “what if we could make a better utility bill?” in mind, Opower started by sending reports to households that compare their usage to neighbors and offer tips on reducing their energy footprint. By turning utilities into a consumer-centric industry that provides people with services beyond merely a monthly bill, Opower now works with more than 95 utility companies in 9 countries, helping them and over 50 million households to create large scale energy savings. Opower became a listed company in 2014. Opower is a software company that revolutionizes the way utilities engage their customers. By combining delightful user experience, data-analytics and behavioral science, they frame energy data that appeals to emotions and motivate everyone on earth to save energy. They deliver personalized energy bills that offer actionable advice on saving energy, which in turn produce large-scale energy efficiency savings while simultaneously enhancing the customers’ overall experience with the utility company. “Can utility services profit by selling less energy?” Their customers are utility services and not directly the end users. Although Opower leads consumers to use less energy, their customers profit from this service: because of great customer experience they are less likely to change their utility provider. 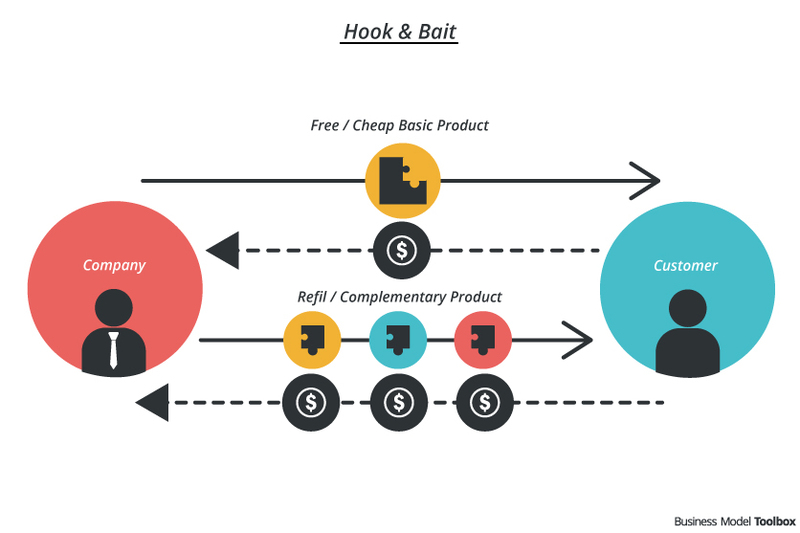 Moreover they buy additional products from the providers. 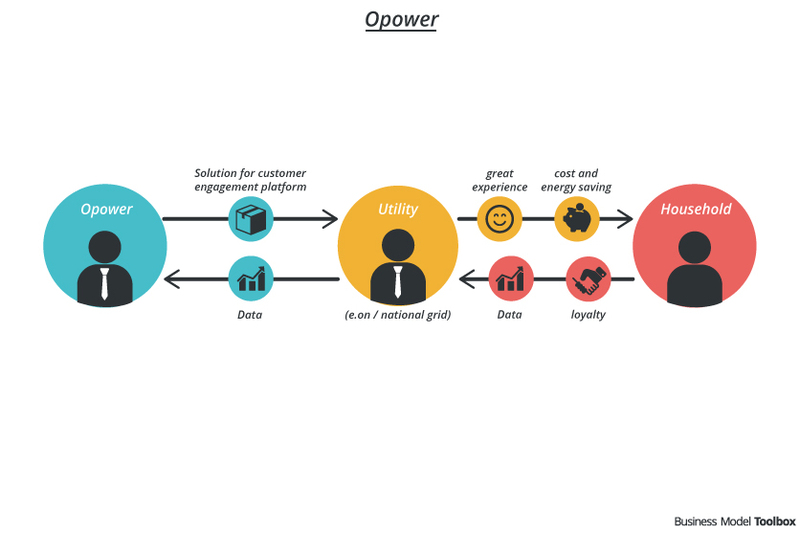 Opower supports utility services, which sell generally a low involvement product, to change from commodity providers to service providers that engage with customers. Opower has a clear mission: to motivate everyone on earth to save energy. However, studies show that people only spend 9 minutes per year thinking about their energy use. In fact, most of us don’t even react much to energy units like kilowatts and heat units. So the founders of Opower ask themselves “how can we make a better utility bill?”, so as to meet their objective to change the way people think about using energy. Opower charges utility companies for their software service, which includes delivery of energy reports on their behalf. The enhanced customer experience enables utility companies to differentiate their brand, which helps both new customer acquisition and customer retention. Also, given the regulatory environment, there is increasing demand for more energy-efficient utilities. Opower appeals even to utility companies that are not interested in energy-efficiency programs by letting the end users have more control over their energy consumption and create large-scale energy and money savings, as well as carbon emissions reduction. Opower figured out early that the best way to get consumers to be energy-efficient is to compare their energy consumption to that of their neighbors. By marrying behavioral science with energy efficiency, Opower helps users to process the information on an energy bill by using familiar mental models, clear language, and visual cues (e.g. a smiley emoticon). With the objective to turn utilities into a consumer-centric industry that provides people with services, not merely a monthly bill, every touchpoint in the customer journey is thoroughly designed. “Learning never stops” To ensure that everyone, everywhere, has the information they need to be energy-efficient regardless of their age, income, language, energy-related knowledge, or access to technology, Opower offers services to utility providers to deliver branded, personalized energy reports to end users in various formats, including mail, text messages, email and in-home energy display. With the use of smart meter and by enabling users to input more information, Opower gathers real-time data and is able to generate saving tips that are actionable and can be integrated into users’ daily lives. Customer centricity is definitely a core principle in Opower’s business, but so are the high regards for its employees. CEO Daniel Yates has said, “our success has been driven by the incredible group of people we have working here.” By fostering a culture of talent, respect and responsibility, Opower wants their people to ask for forgiveness instead of permission, because they trust their employees to do great stuff. Storage and usage of personal data always requires special attention in order to prevent hacker attacks.